While fraud can affect anyone, companies are usually are more susceptible to being victims of fraud, as well as being targeted more frequently. Because of this, it's imperative that businesses equip employees with the right knowledge and skills to be able to pick up on fraudulent activity as soon as possible to prevent large losses of money or data. In 2016, fraud from credit/debit cards, remote banking and cheques equated to £768.8 million. However, fraud prevented in 2016 equated to £1.38 billion demonstrating a possible increase in fraud awareness amongst UK businesses. Though, it would seem there is still a long way to go in educating people on how to prevent fraud. 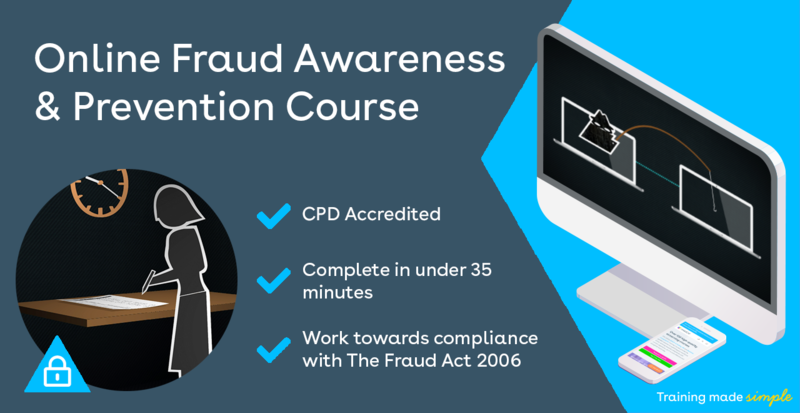 In light of our new course Fraud Awareness and Prevention Training course launching last week, we have created a guide with useful tips to help you, as employers and business owners, prevent fraud. Both employees and employers should have a sound knowledge of what fraud is and the signs of fraudulent activity. More often than not, it is larger companies who are targeted as they tend to handle larger sums of money. Providing training for this is the best way to equip somebody with the knowledge they need. To stop employees from committing fraud you should have policies in place that outline fraud and theft and the companies stance on them. Upon hiring someone, they should be told what isn't tolerated surrounding fraud in the workplace. It should also touch upon any checks that will be carried out within the company as well as what would happen if an employee is found to be involved in fraudulent activity. Businesses may also think about educating employees via training to prevent fraud. Ensure that you have created processes that monitor fraudulent activity and procedures for if it happens too. Once created, employees should adhere to the policies put in place. Acting immediately when you realise that fraud is happening or has happened is the key to a quick recovery. These quick reactions from employers also sends out the messages to employees that urgency is key in these situations. Having these approval processes will mean that you have more than one person viewing transactions regularly. Employees with the responsibility of looking after new and existing client information should be familiar with common warning signs of suspicious money transactions and know how to alert people of them. Large invoices in comparison to previous transactions for existing clients - Due diligence should be performed in regard to transactions. Clients not sharing basic identifying information - You can conduct regular information searches throughout client relationships and monitor changes. Not providing financial performance information - Set the expectation at the beginning of client relationships that you will be asking for this information and it should be provided in a timely manner. When you have a job which requires a lot of interaction with your clients, you should be able to pick up on any distinct differences in their behaviour. Employees should pay attention to them, their behaviour and their accounts to observe any abnormalities. They should be familiar with the 'normal' amounts of money going in and out of a client's account, anything that isn't routine should be checked on and invoices that aren't paid within normal time frames should be followed up. 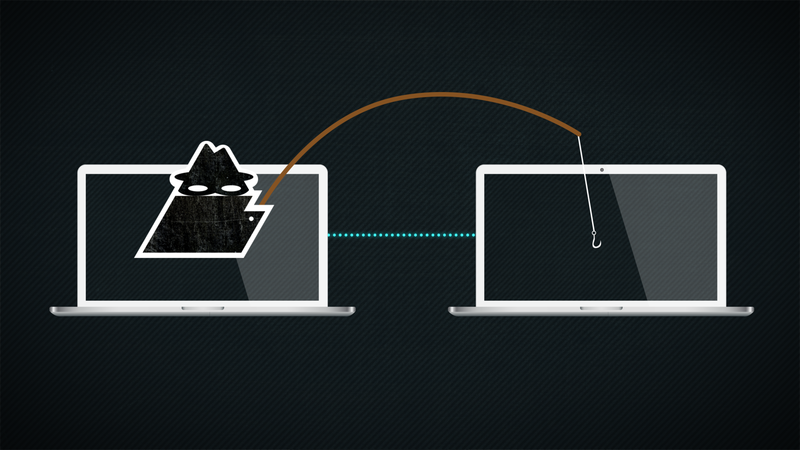 There should be ways to spot check validity to ensure no fraudulent activity is occurring. Even when the client is responsible for debt collection, factoring firms should have direct communication with the client's debtors. By making personal visits to clients or occasionally auditing a portion of invoices, you will help keep both parties alert to potential fraud. Also, visits can help build relationships and understand how they operate. A great way to spot potential fraud or theft inside a company is to conduct audits with third parties. Audits should be done regularly but also informally. Having audits that are unannounced can help prevent employees trying to cover up any fraudulent activity beforehand. Sometimes the best way to find out what is going on in a company is from the employees themselves. Often employees do not want to turn their fellow employees in, but as an employee, you can make anonymous tips for theft or fraud possible to hide the identity of the employee. It is important that when a tip is made that the employee is thoroughly investigated. Avoid rushing past judgement until you have collated all of the facts.